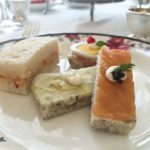 Tea at the Langham Huntington, Pasadena, was hosted in exchange for a review. As always my opinions are my own. 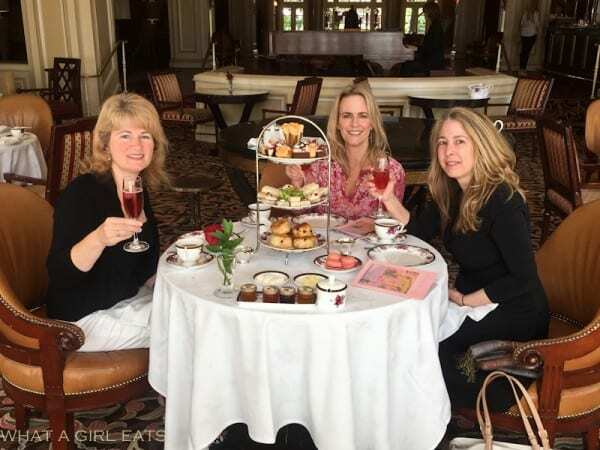 My good Christina from Christina’s Cucina, and I, are getting to be known as the “Afternoon Tea Gals”. Our latest tea adventure took place right here in my backyard. Tea at the Langham Huntington, in Pasadena, is a lovely way to spend an afternoon. From left to right, Christina, from Christina’s Cucina, and me with a friend. Lobby Lounge, used with permission from the Langham. 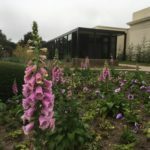 The Huntington was built over 100 years ago, but never fully completed until Henry Huntington purchased and completed the renovations along with architect, Myron Hunt, in 1911. It was re-opened in 1914. Since then it has changed ownership several times. The Langham Hotel Group purchased it in 2008. We Pasadena residents are always filled with a bit of dread when this beautiful, historic hotel changes hands. 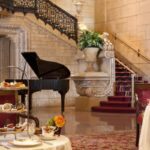 Tea is served in the Lobby Lounge, at the Huntington. Used with permission from the Langham. Photography credit, Matt Armendariz. Fortunately, the Langham Group has not only kept true to the original spirit of the Huntington, they’ve incorporated some wonderful traditions from the original Langham Hotel in London. 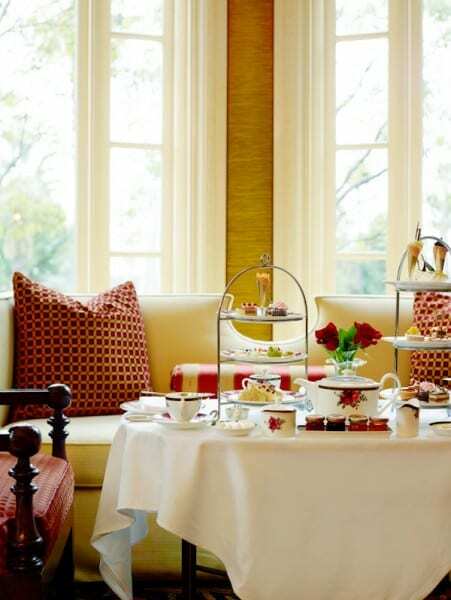 When it opened in 1865, it was the first luxury hotel to serve afternoon tea in Europe. 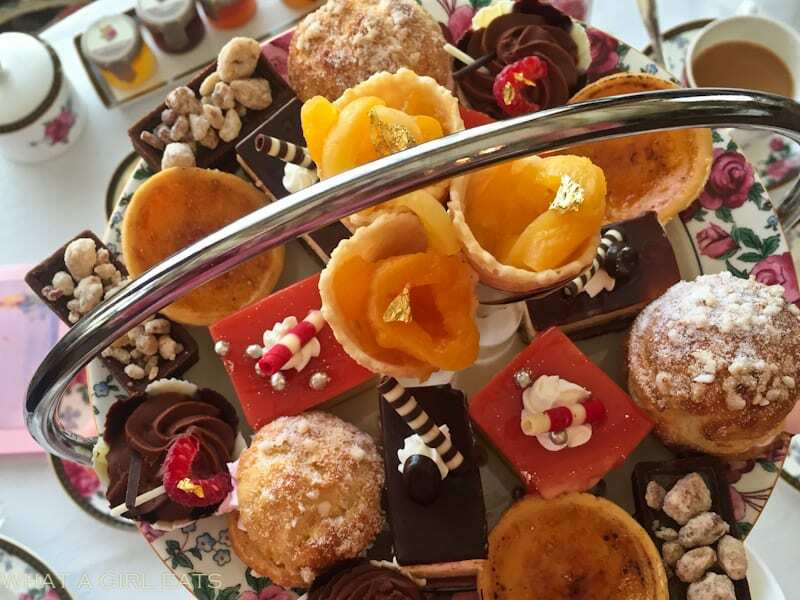 Today, every Langham Hotel world-wide, serves afternoon tea. 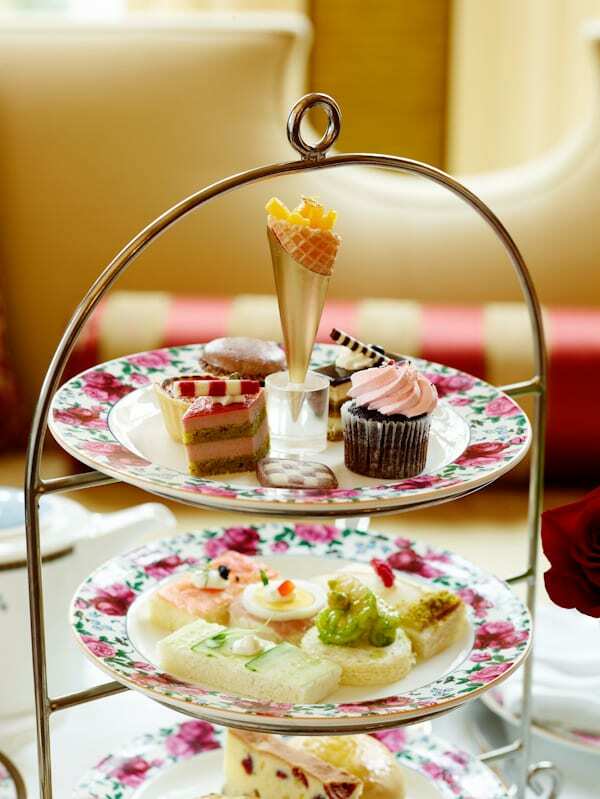 We were there just after the introduction of their new, custom-made tea ware from Wedgwood, called “Langham Rose”. The first pour of tea in the new Wedgwood, “Langham Rose” tea cup. 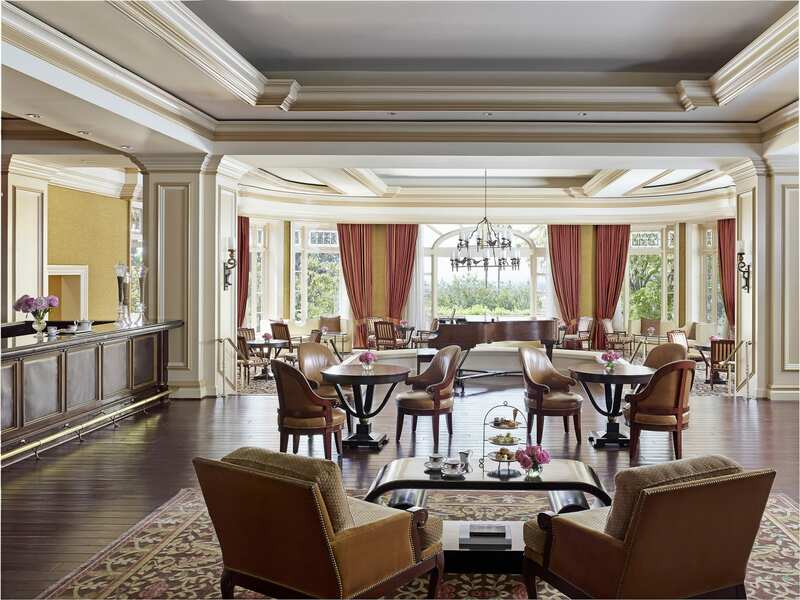 Tea at the Langham Huntington is held in the Lobby Lounge, overlooking the expansive and beautiful Horseshoe Garden, and beyond to San Marino. One may begin with a glass of champagne, or Kir Royale, as we did. This festive champagne cocktail is the perfect way to begin a relaxing afternoon with friends. There is also a selection of aperitifs, wines, ports and sherry. 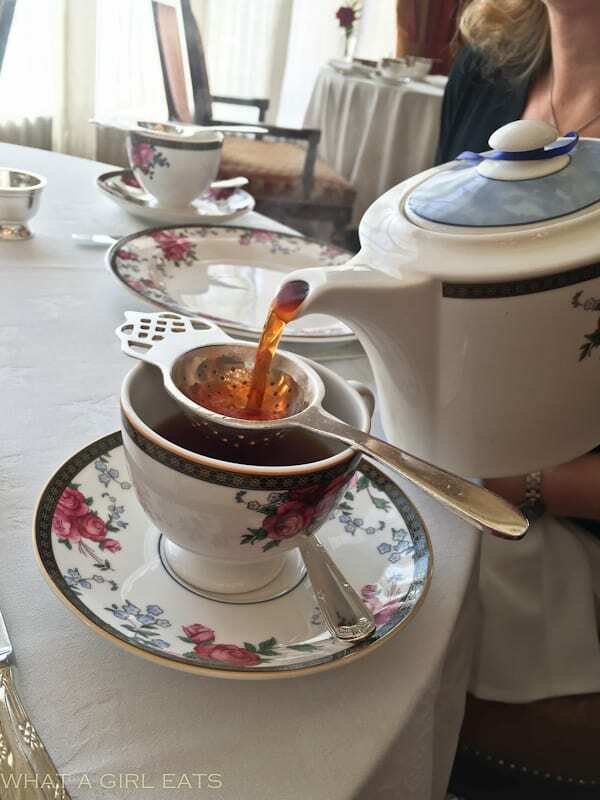 Our attentive waitress explained a little bit about each of the four special Langham tea blends, in addition to another eighteen teas. Each of us decided to try a different blend. 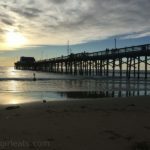 She also inquired as to whether any of us food allergies, and then returned with more specific questions regarding the allergy from the chef. We were duly impressed with the chef’s caution regarding whether the food needed to be separate from the other dishes. Passion and apricot cones with real gold leaf, chocolate praline mousse cups, creme brûlée tart, guava cream cheese gateau. That attention to detail with regards to food allergies is not often adhered to in most restaurants. We were served an ample selection of French pastries and warm scones, each one a miniature work of art, both delicious and unusual. The Passion Fruit and Apricot Cone was embellished with just a touch of edible gold! 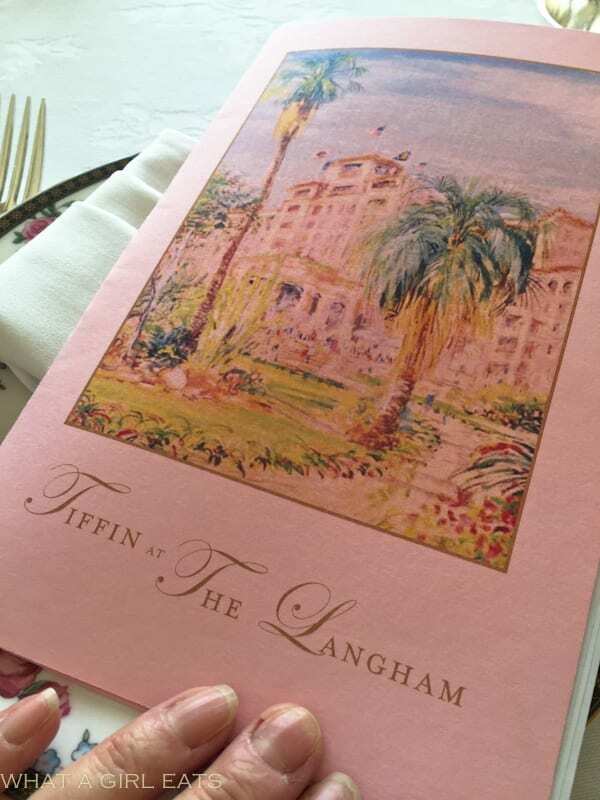 Tiffin at The Langham, photo used with permission from the Langham. Photography credit, Matt Armendariz. Rest assured, tea at the Langham Huntington is an unforgettable experience. There were only five savories served, and while each one was delicious, I would have preferred a more even balance of sweet and savory. Christina has a much bigger sweet tooth than I though, and might well disagree! My favorite nibble was the Smoked Salmon with Caramelized Shallot Caper Cream. 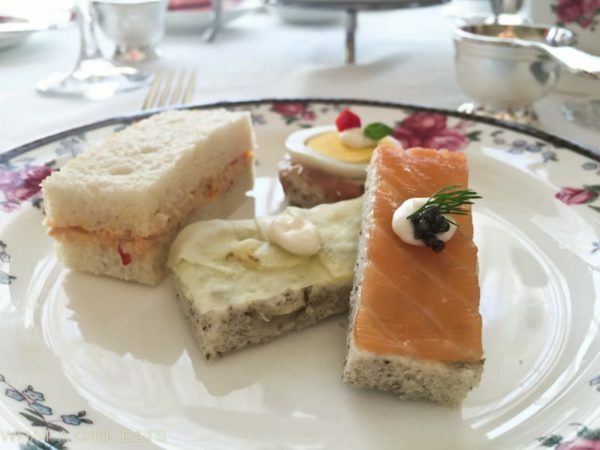 A selection of tea sandwiches including, smoked salmon with caramelized shallot caper cream, chicken salad with orange and cranberry, pickled saffron radish with watercress and dill cream and ham, egg and prosciutto. Although it’s hard to beat a warm scone with Devonshire cream! 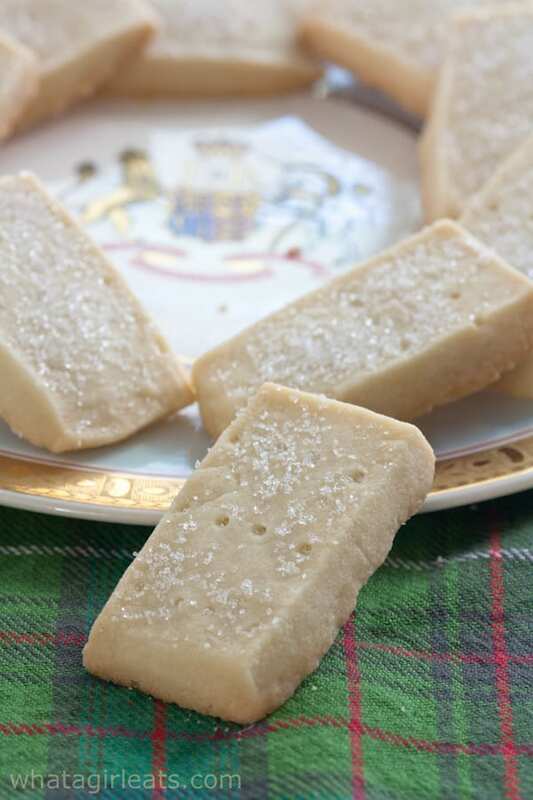 For a great traditional Scone recipe, you’ll need to try Christina’s recipe. 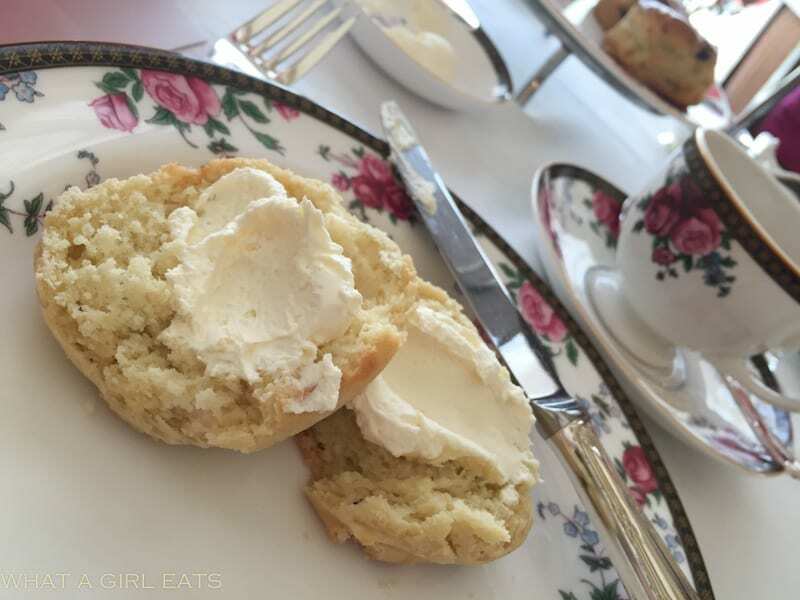 Scones with Devonshire clotted cream. 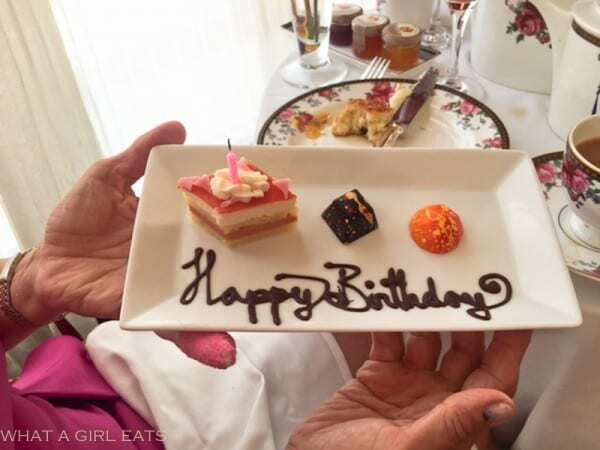 The Langham Huntington also prepares a lovely birthday plate, if you happen to be celebrating, as the two ladies across from us were. Even birthdays are special at the Langham. 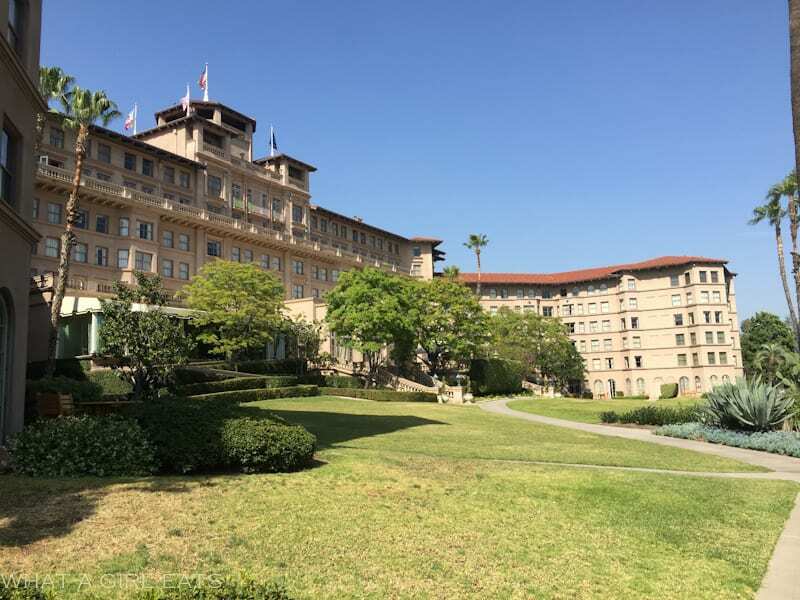 If you’re traveling to Los Angeles from out of town, the Langham, Huntington Pasadena is just a 20 minute drive from downtown LA. 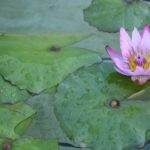 In addition, Pasadena is a destination of its own, as the home of the Rose Bowl, Huntington Library and Botanical Gardens and the Norton Simon museum to name a few. 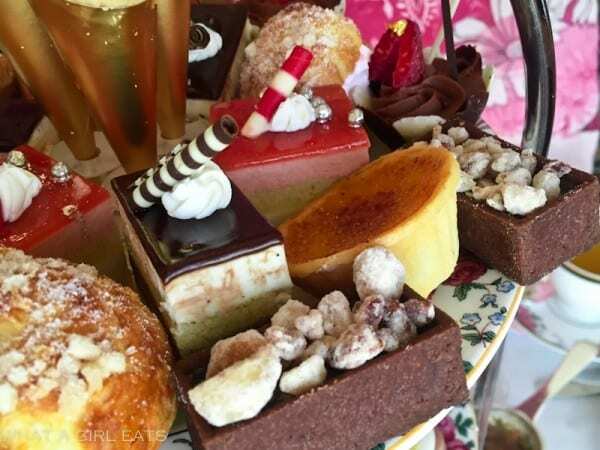 Tea at the Langham Huntington is something very special! 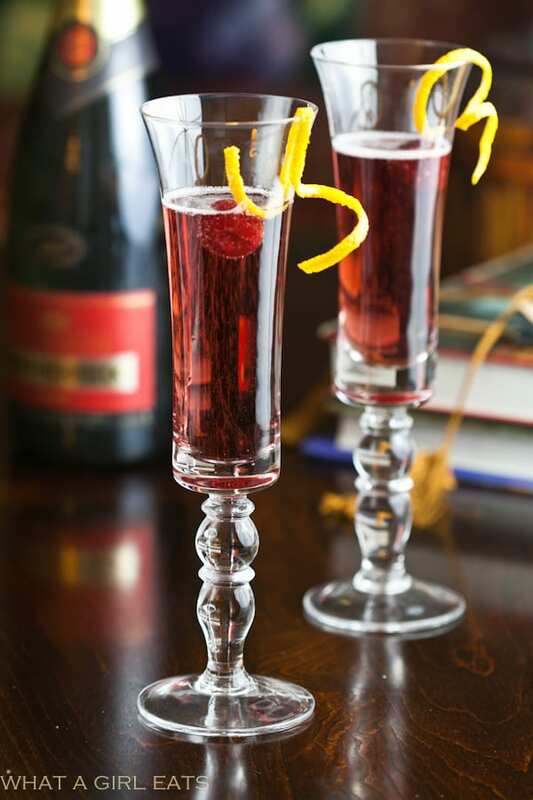 Would you like to recreate a Kir Royale at home? It’s such an easy, elegant beverage, and would be a perfect way to celebrate mom on Mother’s Day! Champagne cocktail with Creme de Cassis. Garnish with fresh raspberry and an orange twist. Looking for some tasty fillings for tea sandwiches? 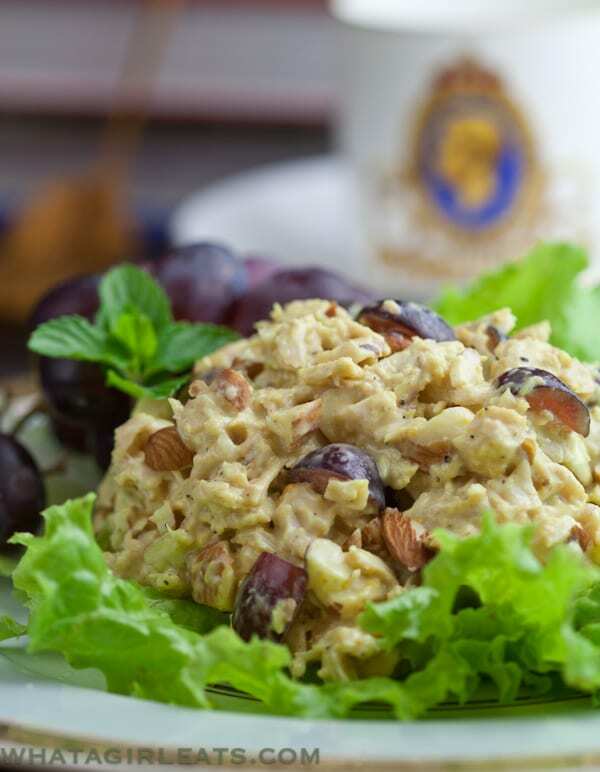 How about Coronation Chicken Salad? 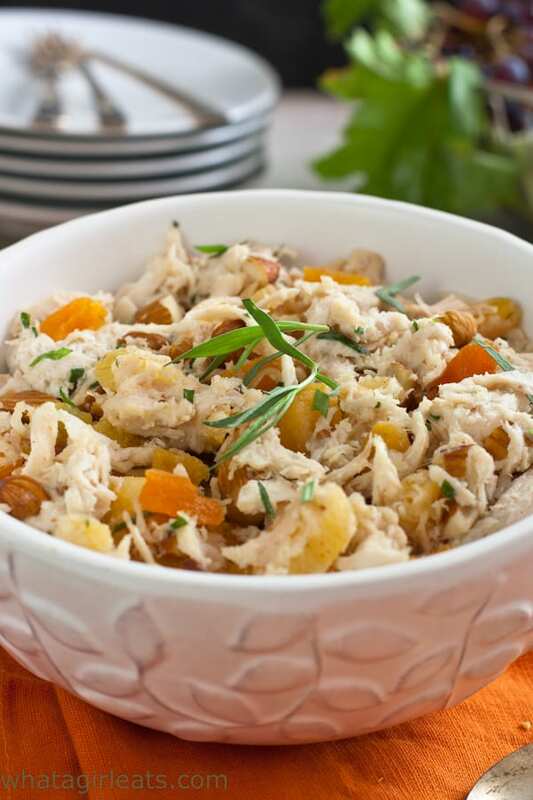 This recipe was served at Queen Elizabeth’s coronation in 1953. 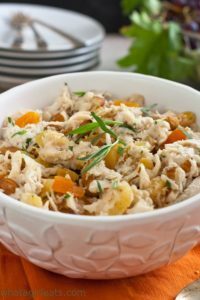 Chicken Salad with Apricots and Tarragon is another delicious filling. Shortbread is the perfect addition to any tea tray. Coronation Chicken Salad on a bed of lettuce. What a treat! It looks like such a lovely place and what lovely company you had! It was such a fun afternoon — when’s our next tea date? 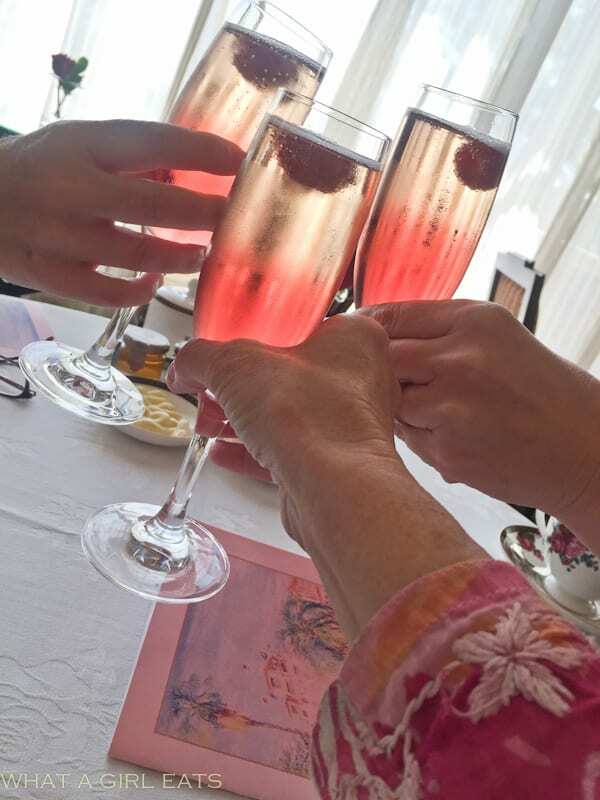 I had such a lovely time with you ladies and the Kir Royale really hit the spot! I love that you added the recipe, Cynthia!